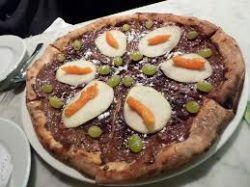 Weird Food Combinations are everywhere but one’s person’s weird is another person’s normal! Here’s some questionable food choices…. 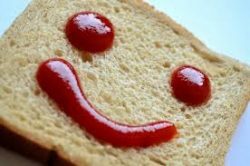 Ketchup…. on everything. We’re not just talking savoury food items but ketchup with breakfast cereal appears to be a popular choice. Other strange ketchup/ food pairings are: ketchup and rice, ketchup and chocolate, ketchup and ice-cream. Some people really do love their ketchup! 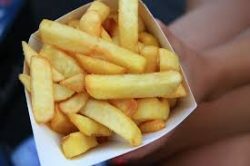 Chips; a very popular food item, but have you ever had them with ice-cream?!! Dipping hot chips into ice-cream is more popular than you think, there are hundreds of photographs out there with people using their ice-cream as a dipping sauce for their chips. Maybe this trend happened by accident, someone mistakenly put ice-cream on their chips instead of mayonnaise? 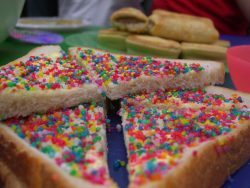 Fairy bread is a popular Australian choice of food and looks quite pretty! Is triangles of white bread with sprinkles on them, they do look tasty. 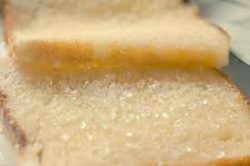 Bread and butter with sugar; basically our version of Fairy bread. This was a popular sweet treat in times of war and when rations were in place. Food items like butter, bread and sugar were scarce. Why do people still eat this combination now?!! Pizza with nutella or chocolate spread. This does not sound like an appealing combination. Sweet and savoury can go well together but this combination is a definite no from us!! 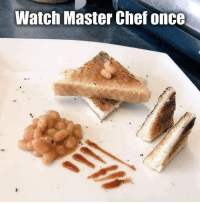 There are many other weird food combinations out there but we think we’ll stick to the ones that blend better and leave ketchup with ice-cream to other’s delicate tastes!